A few weeks ago, we headed to York for a day out with our 5 year old and toddler. It was a bank holiday weekend, so typically it was cold and wet, so we decided to warm ourselves up with a trip to the York Chocolate Story. 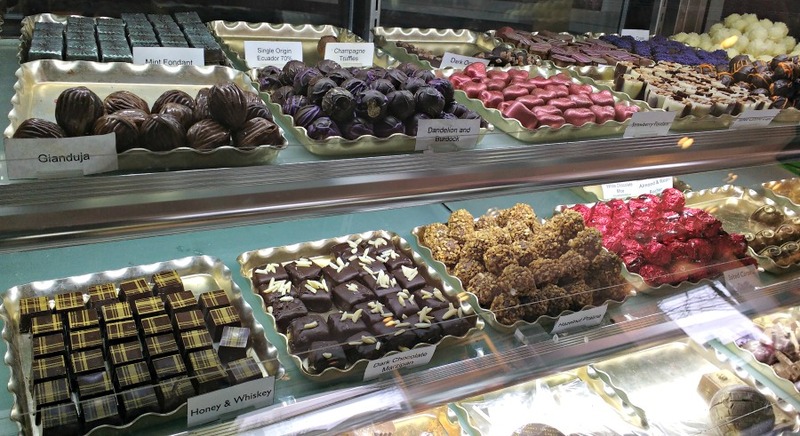 The York Chocolate Story tells the story of the history of chocolate making in York. Chocolate making has long been part of York’s history with Rowntrees and Terry’s starting their chocolate making businesses in the city, and over 6 million Kit Kats still made in the city every day. 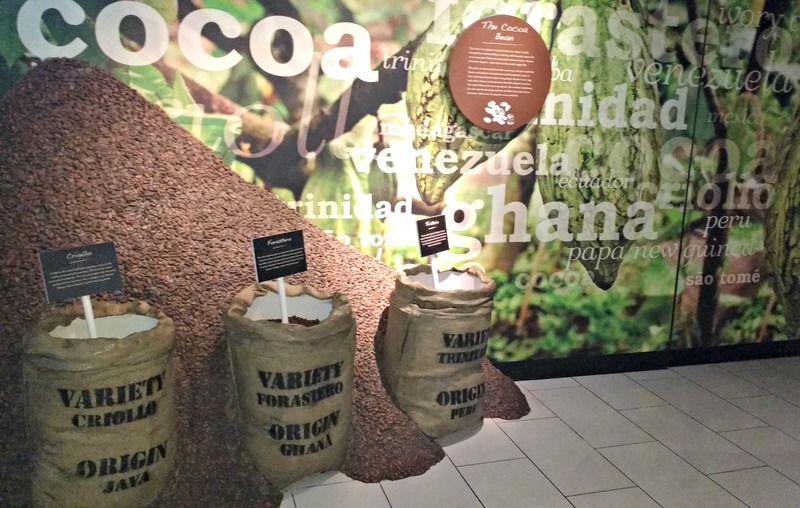 The York Chocolate Story comprises of an interactive guided tour telling the story of the history of chocolate making in York, how chocolate is made and about the people who worked in the factories. It was about 30 / 40 minutes long, was very interactive and involved lots of moving from room to room for the various exhibitions and demonstrations. I did wonder whether my toddler’s attention span would be able to cope with a guided tour, but he was genuinely interested – I think this had something to do with all the chocolate samples which kept being handed out. Plus, we were always moving rooms so he wasn’t standing still in one place for long. Our favourite part of the day was when we got to the Chocolate Factory and had the opportunity to make some Chocolate Lollipops. A demonstrator poured some hot white chocolate onto a plate and we were able to decorate them with a selection of chocolate sprinkles before they were chilled in the fridge. The boys really got stuck into this! The last part of the Tour was watching the expert Chocolatier’s making filled chocolates. Again, this was really well organized, so there was plenty of space for us to watch what he was doing. The best bit was when we got to taste them at the end! 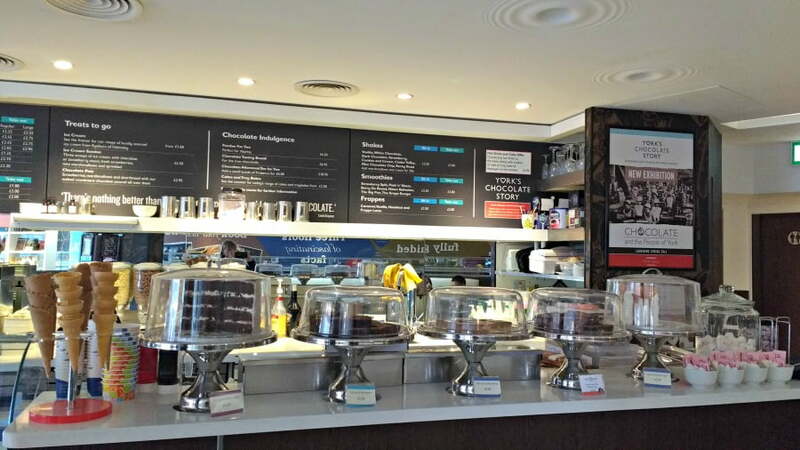 Is the York Chocolate Story toddler friendly? Yes. The Tour is fast paced and the guides are used to getting children involved. You don’t spend long in each room, so there isn’t much chance for them to get bored. 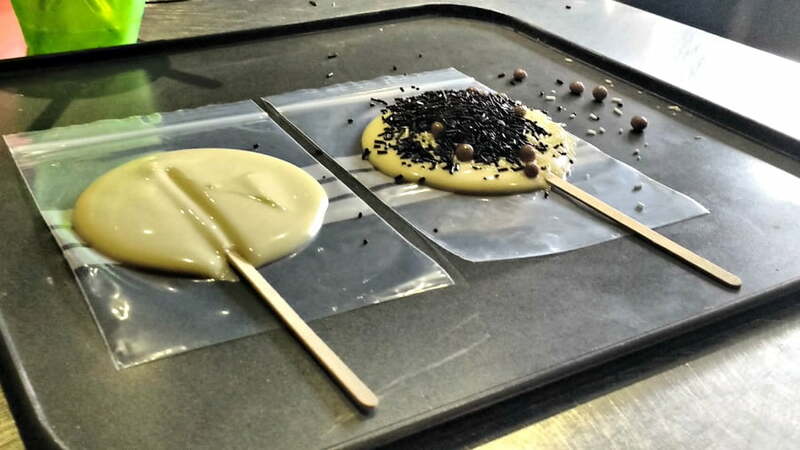 They will love sampling the chocolate, getting involved in the chocolate making process in the Chocolate Factory and making lollipops. We spent about 90 minutes there before having a cup of hot chocolate in the Café downstairs. 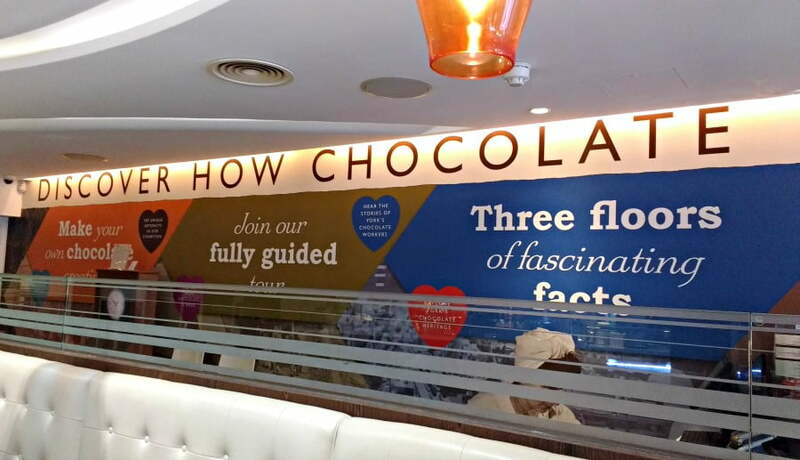 The Chocolate Story is on 3 floors but there are lifts to get your buggy around. Parking – There isn’t any parking nearby, but there is a Park and Ride to get into York and a regular bus and train service. Open daily from 10am (the last tour is at 5pm). Loved your post!!! wish there was a place like that here in NY, USA… it looks like you guys had a great time. Sounds like a wonderful place to experience with kids. Thanks for sharing this at City Tripping. This looks fabulous, I think my teen and tween would enjoy it! May need to look at holidaying in York now.